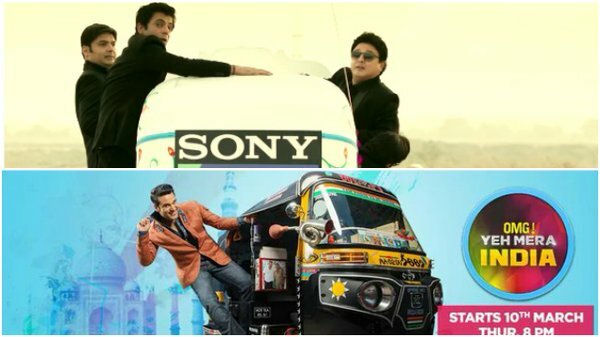 Home Entertainment Kapil Sharma vs Krushna: Who is the real owner of Auto Rickshaw? Kapil Sharma vs Krushna: Who is the real owner of Auto Rickshaw? A fight between fans of Krushna and Kapil Sharma sparked up controversy because the veteran comedian used the ‘matching’ or ‘similar’ concept in his new comedy series. In a new trailer released by Sony Entertainment, we can see Kapil riding on an auto rickshaw. Which is exactly the same concept how Krushna promoted his show OMG! Yeh Mra India!, telecasted on History 18 channel. In the new show of Kapil Sharma on Sony TV, the show which is titled as ‘The Kapil Show’ seems to be a truly dedicated show for his personal goodwill. However after he left Colors TV, fans was disappointed from him for betraying the channel. Krushna Abhishek’s new show OMG! Yeh Mera India premieres on Thursday, March 10, 8 PM on History India TV. The first promo of the new comedy show was released on Tuesday, in the promo video it was featuring Kapil’s gang getting on board a chopper which is hijacked by Navjot Singh Sidhu and then the entire team was appeared entering in an auto rickshaw. Comedy Nights Bachao is being currently hosted by Krushna on Colors TV along with Bharti and others. Biggest lol for all of them, those who make #KapilCopiesKrushna this a trend. They all are stupid like #Krushna! Fans of the person who copied entire set, theme, channel, name from Kapil are trending this #KapilCopiesKrushna. Irony died.